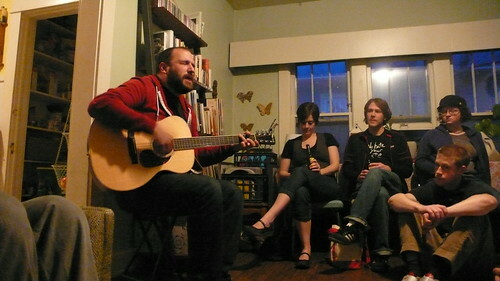 David Bazan has been setting up a series of house shows throughout 2009 and today a slate of house shows taking place in March and April, along with a few other performances was announced. These small, intimate performances seem like something not to be missed so if you happen to live in one of the locations, be sure to head over to www.undertowtickets.com at 3pm central this Thursday, February 26th when they go on sale. This entry was posted in News, Tours/Events and tagged david bazan on February 24, 2009 by PhiLL Ramey. 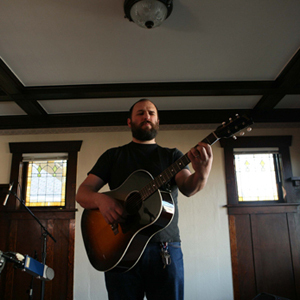 This entry was posted in News, Tours/Events and tagged david bazan, headphones, pedro the lion on October 20, 2007 by PhiLL Ramey.